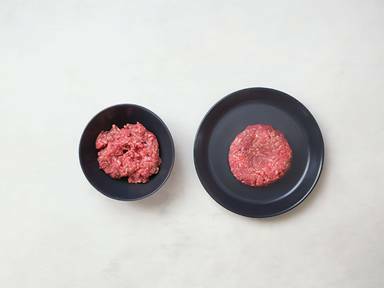 Take a handful of ground beef. Try not to overwork the meat so it will stay tender. Form the patty with damp hands. Using your fingers, create a small well in the center of the patty as this prevents the patty from puffing while cooking. Prepare in a hot pan or on the grill. Enjoy!